If you’ve embarked on a search for a new or used vehicle, you’ve likely come across the term “Certified Pre-Owned”. Car salesmen tout the extended warranties and protection plans available on pre-owned vehicles, but are these deals worth it? How do Certified Pre-Owned vehicles compare to standard used cars? Manufacturers will typically offer a warranty on a new car, but that comes with an expiration date. When the car or truck reaches a certain age or number of miles, that vehicle is no longer covered. Often, your average used vehicle is no longer under the manufacturer’s warranty. Choosing a Certified Pre-Owned vehicle however, comes with the added benefit of an extended warranty coverage, you’ll be covered for longer. 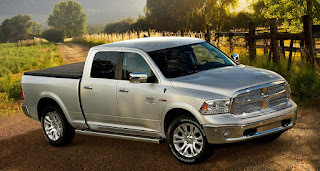 Driving one of Melloy Dodge’s Certified Pre-Owned vehicles gets you a 3 month/3,000-Mile (whichever comes first) Maximum Care Warranty, and up to a 7-year/100,000 (whichever comes first) Mile Powertrain Limited Warranty. At Melloy Dodge, all of our Certified Pre-Owned vehicles go through a rigorous 125-point inspection to meet high mechanical, maintenance, appearance and detail standards. Only the finest vehicles get certified. All Certified Pre-Owned vehicles come with a CARFAX vehicle history report. In addition, we offer roadside coverage including battery jump assistance, gas delivery, lockout service, and towing service, as well as car rental allowance. When buying a used car or truck, you want to be sure you’re getting a vehicle that will last. Buying Certified Pre-Owned is a great way to get a quality car you can be confident about, for less than new. Come and see our inventory for an amazing deal on a quality car or truck. We’ve got you well taken care of, on the road and off.